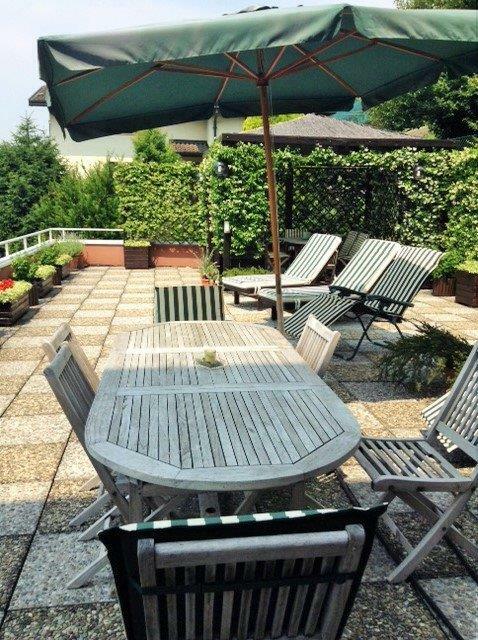 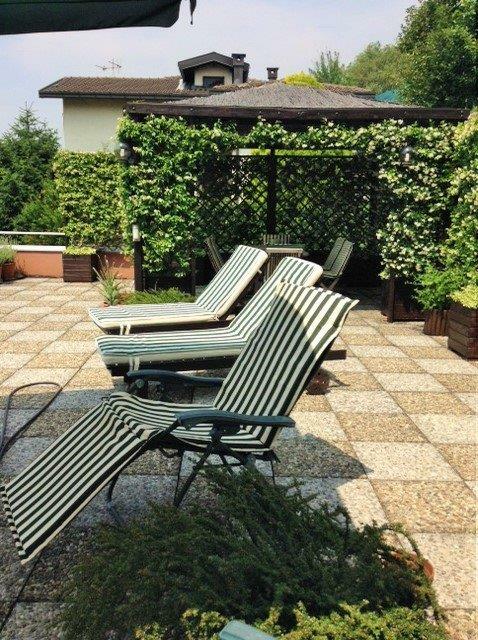 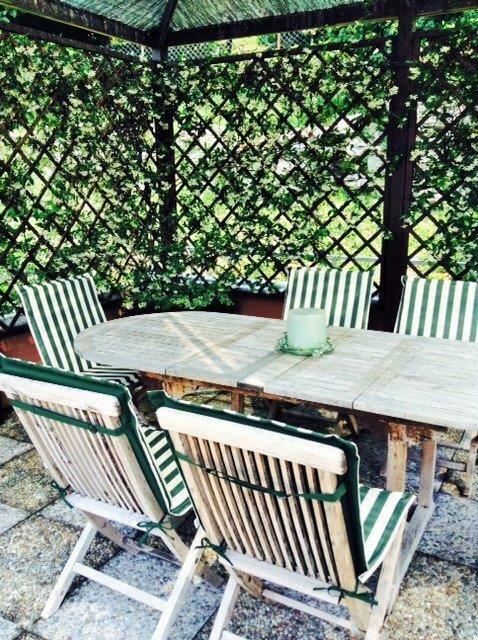 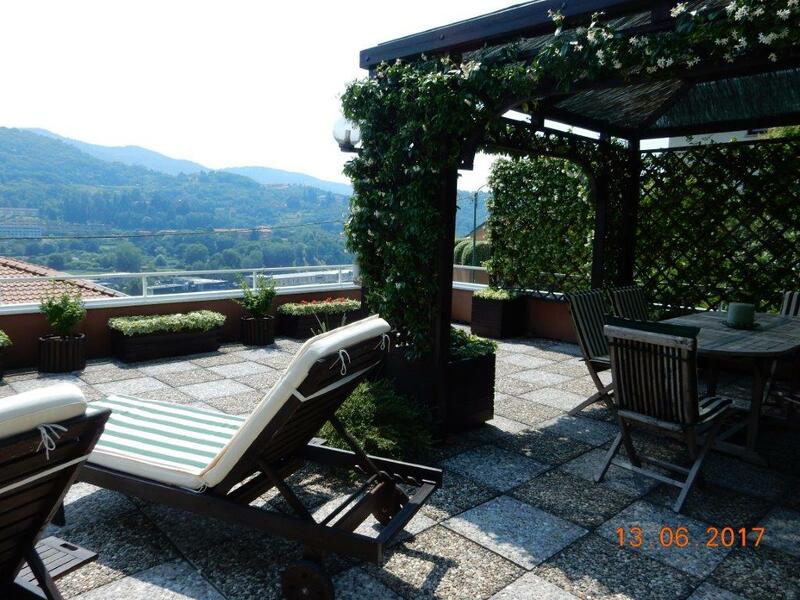 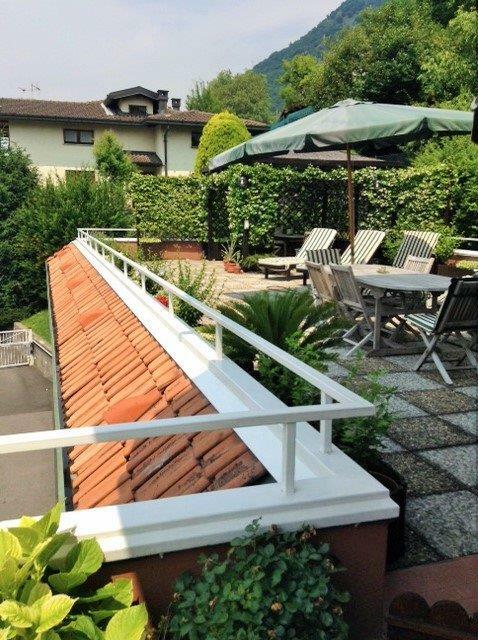 Located in Upmarket Cernobbio with all day sunshine and a wonderful terrace we offer this unique apartment ideally situated for those searching for a property with easy access to Milan, Lugano or Como town. 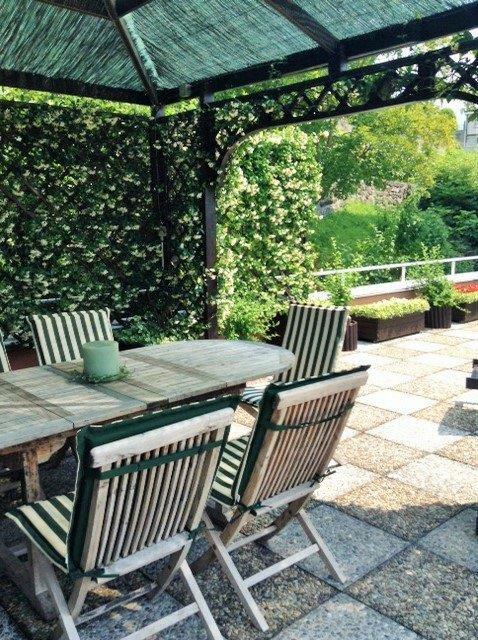 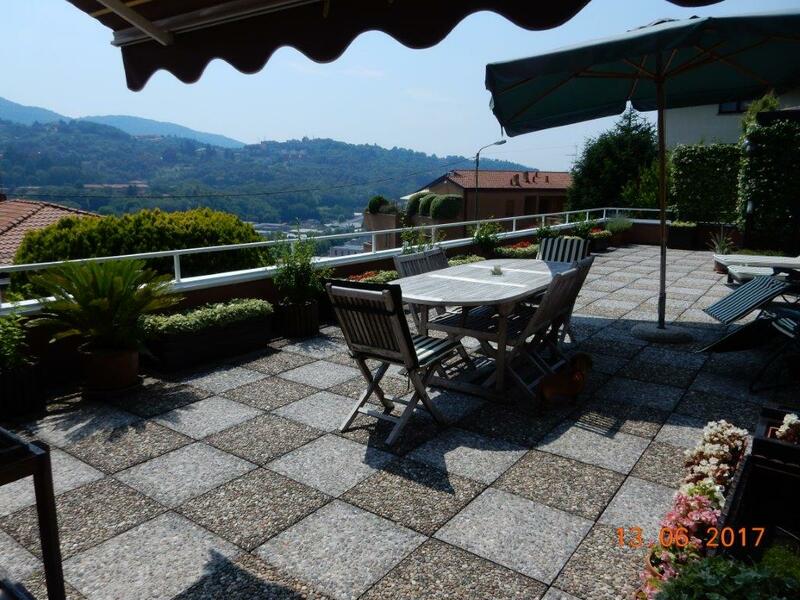 It is rare to find an apartment with such a wonderful terrace. 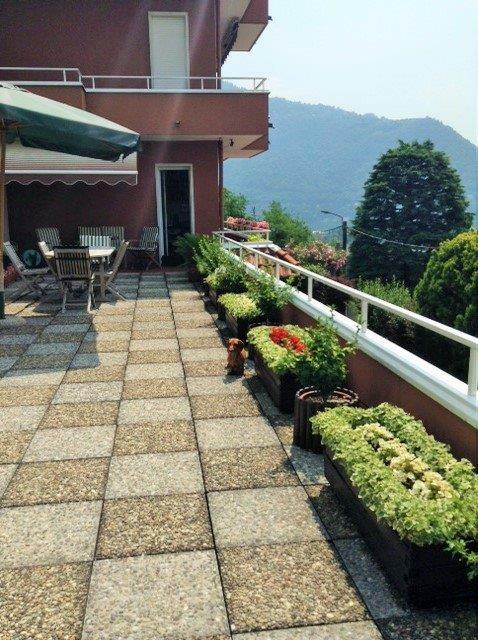 The 125sqm terrace faces directly south an offers lake views. 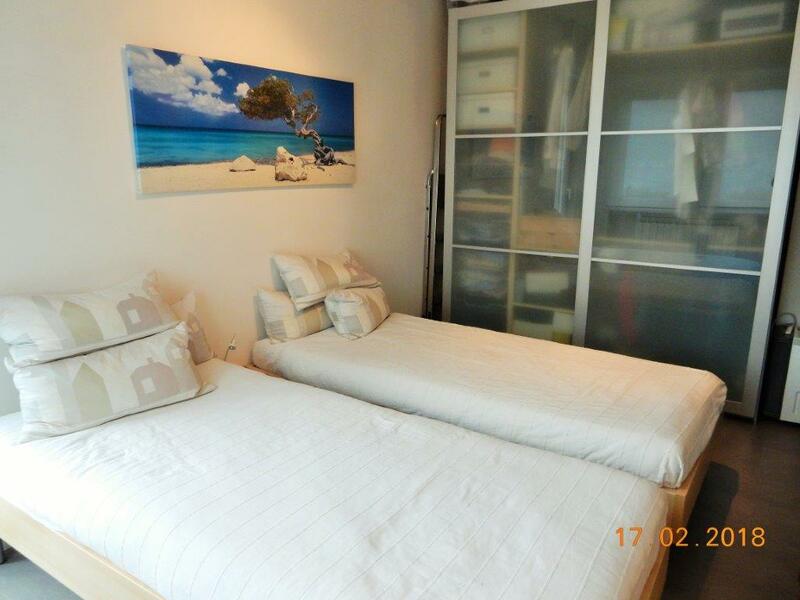 The apartment is sold fully furnished and in excellent condition having being fully refurbished recently. 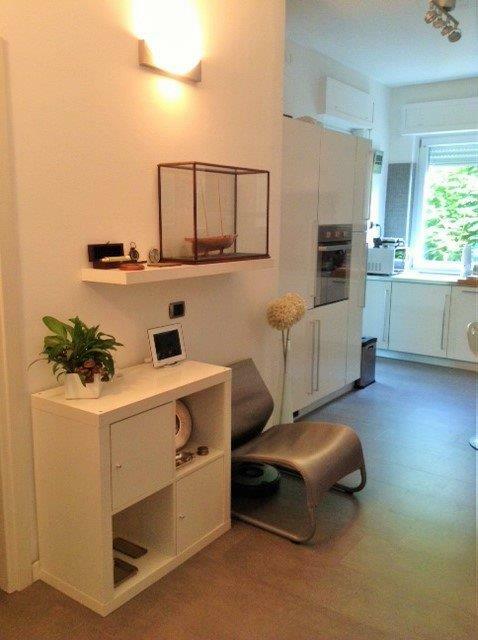 The apartment is one of only 6 in a residential building with simple vehicular access. 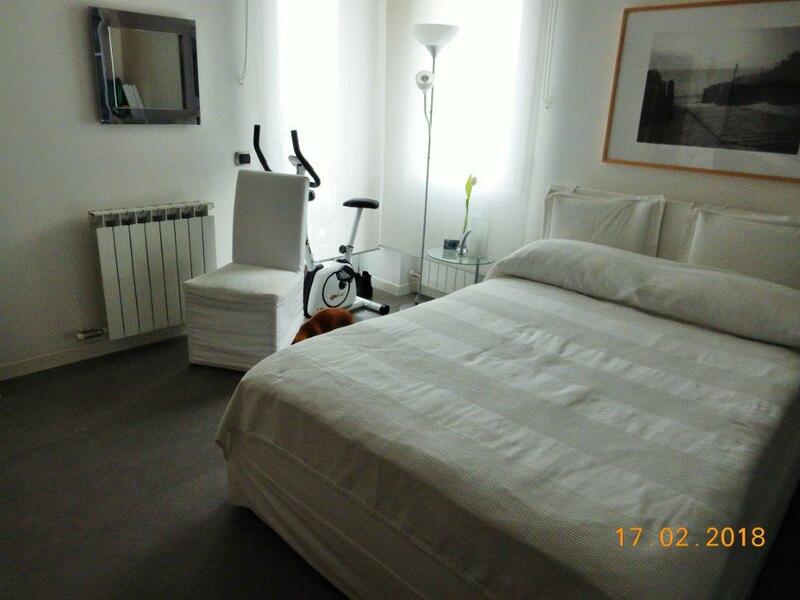 The apartment is on the first floor of the well cared for residence. 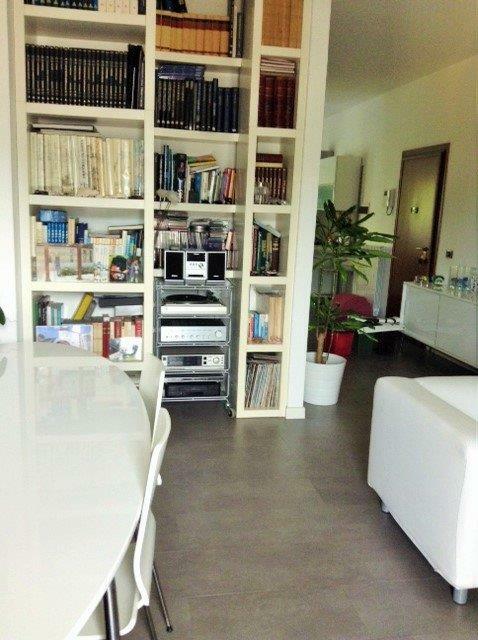 One enters the 95sqm apartment into a kitchen/ open living room with direct access onto the balcony. 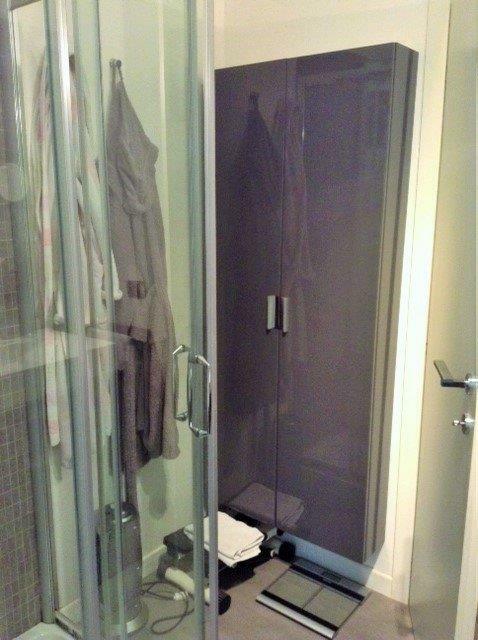 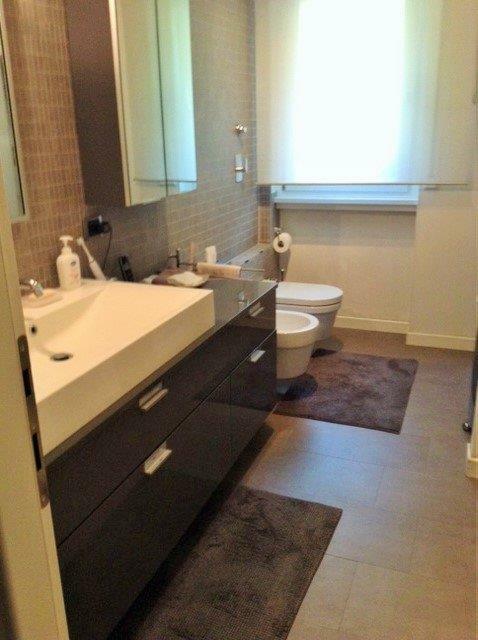 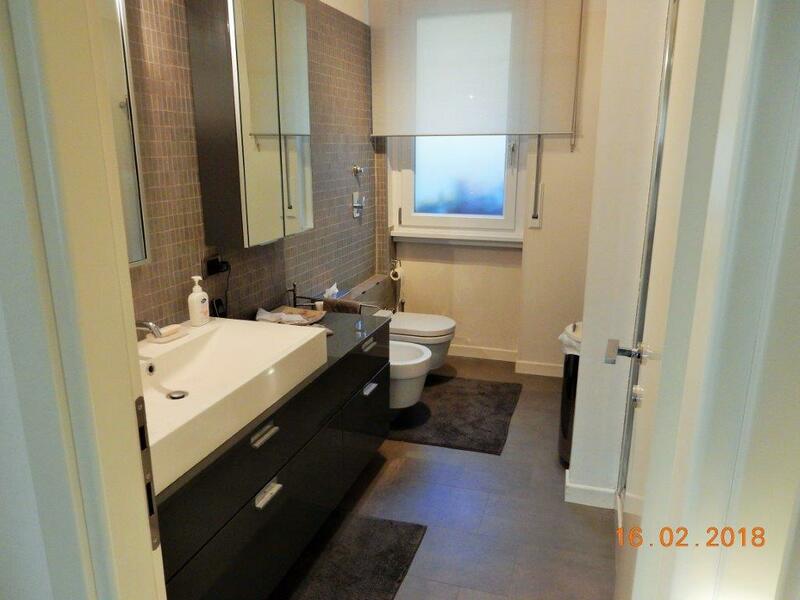 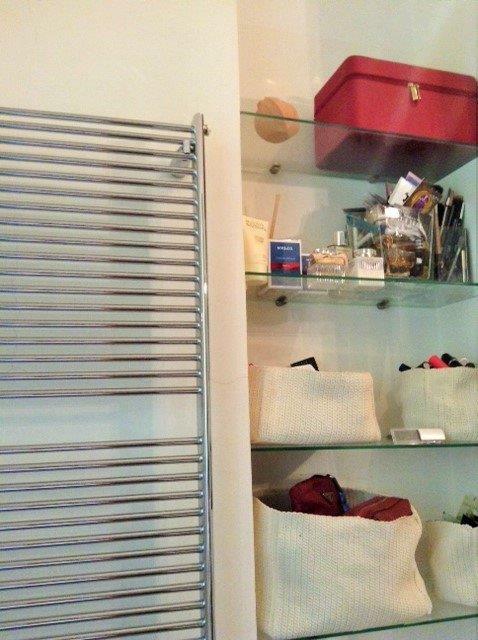 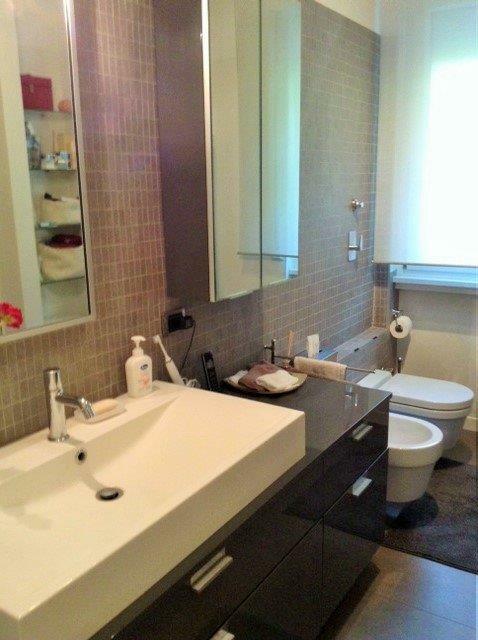 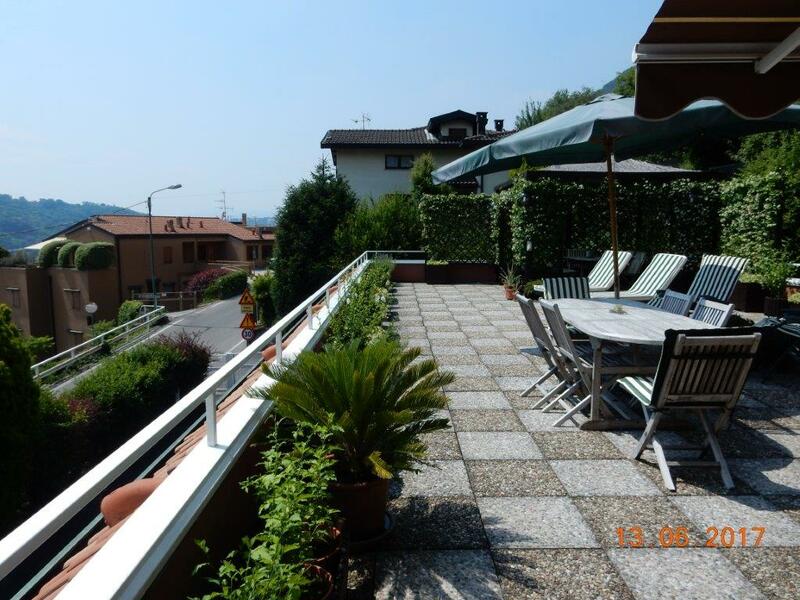 Two double bedrooms both with access to the terrace and a bathroom compete the property. 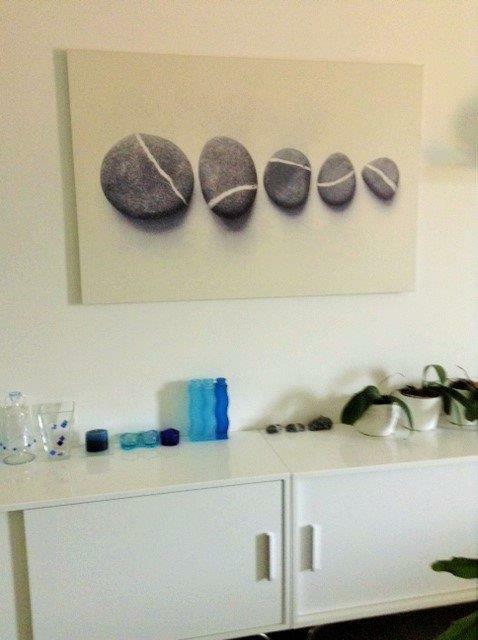 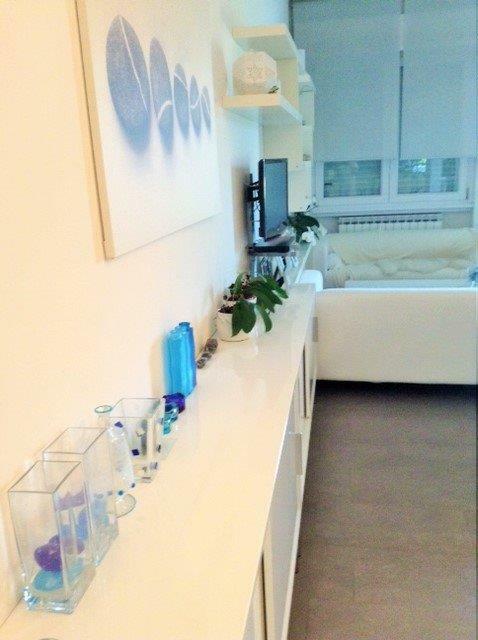 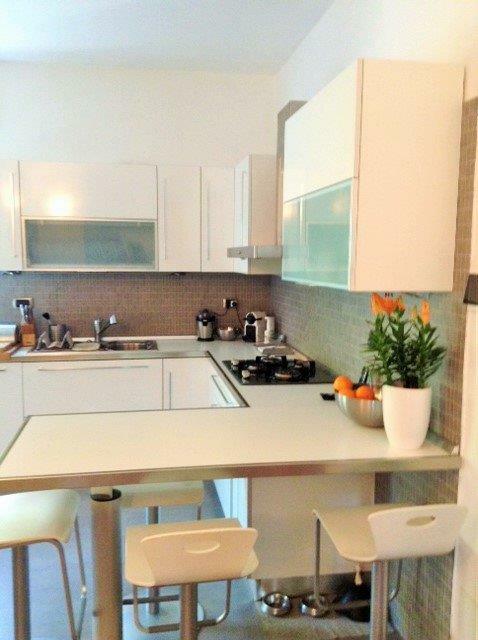 The apartment is sold fully furnished including the modern and fully equipped kitchen. 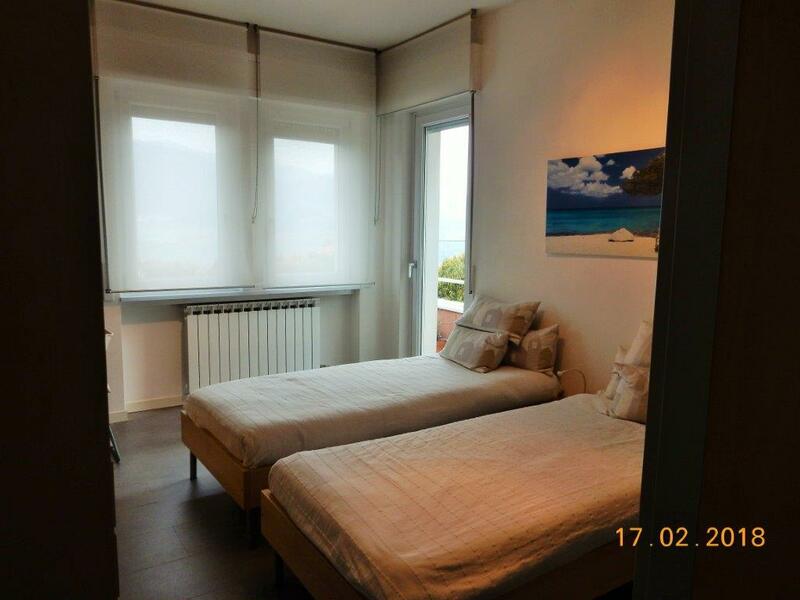 The apartment has been elegantly refurbished and is sold with an alarm system. 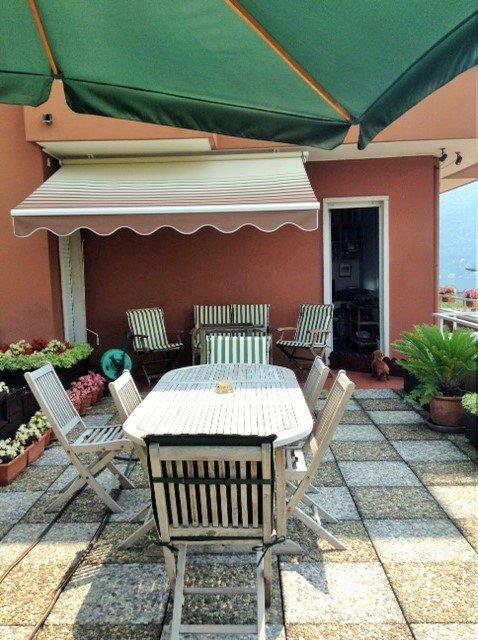 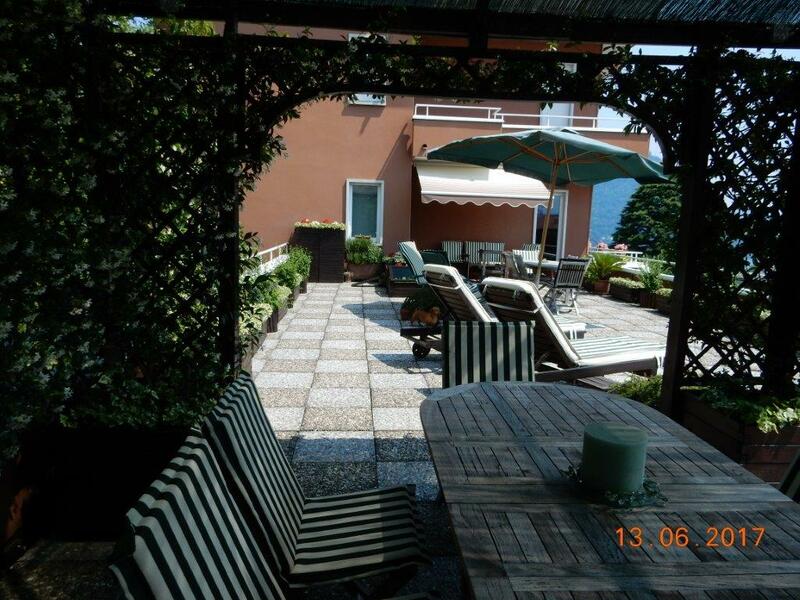 Externally the apartment has private use of the 125sqm terrace which includes a covered gazebo area. 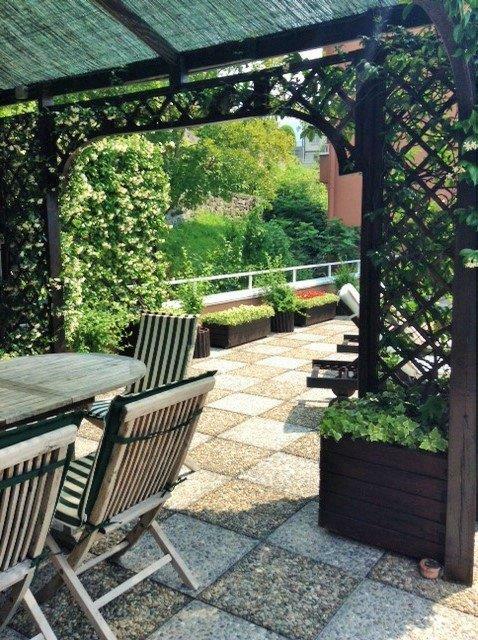 The terrace has a full irrigation system and has sun throughout the day and late into the evening. 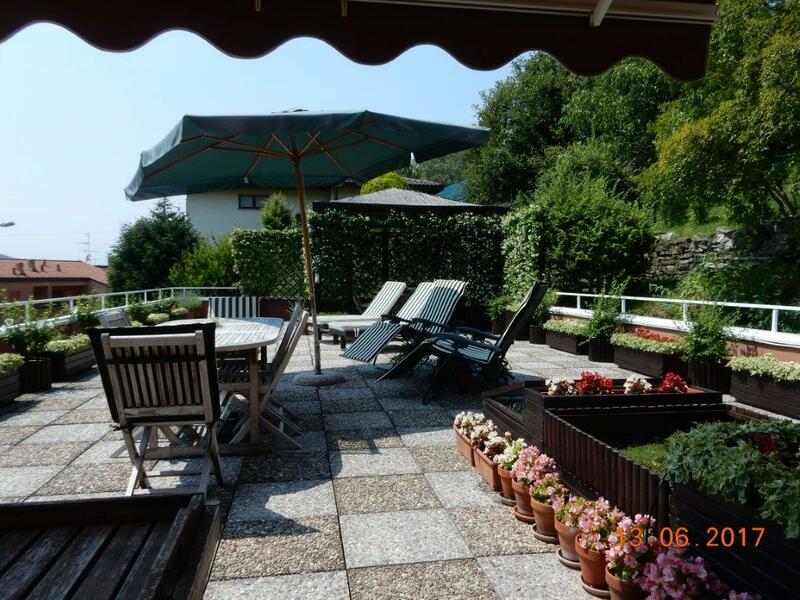 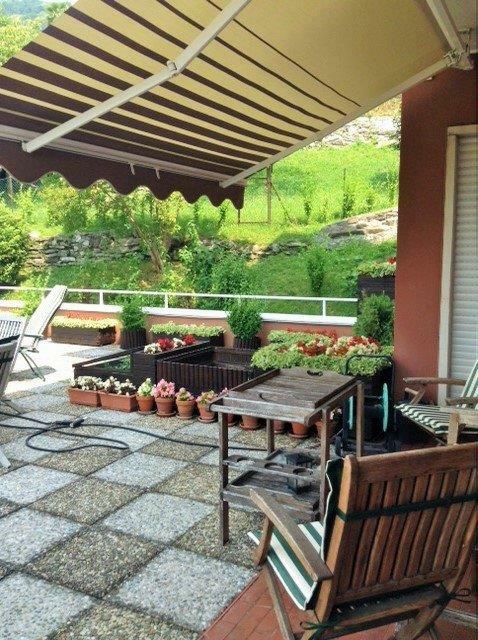 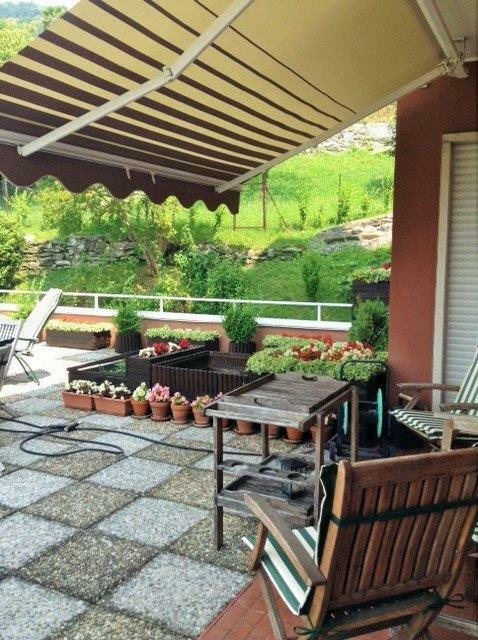 The views from the terrace are lovely and include the lake and high mountains of the alps including Monte Rosa. 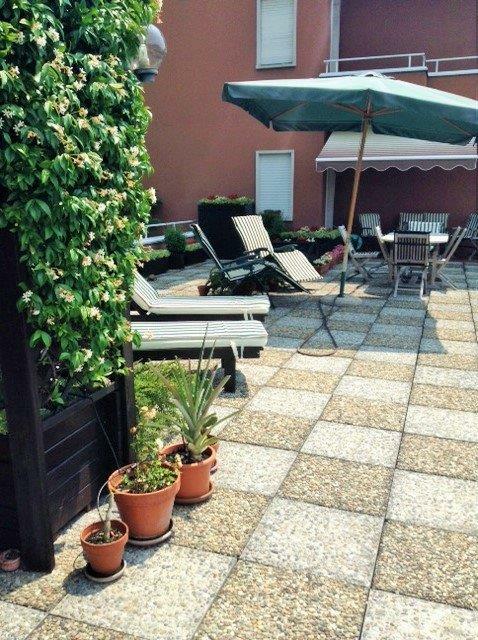 In addition there are some communal gardens shared with the other apartments. 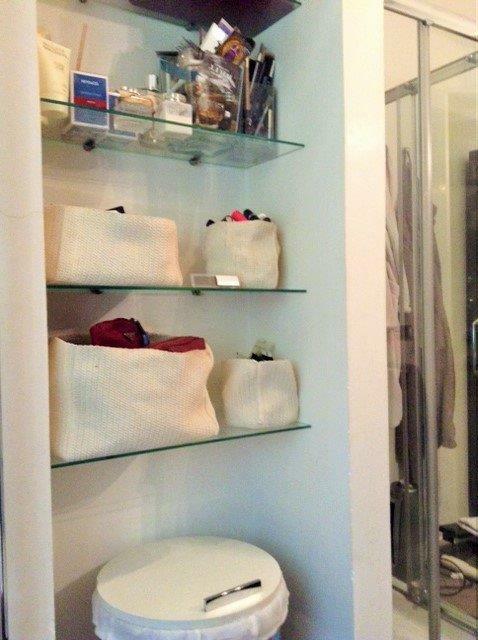 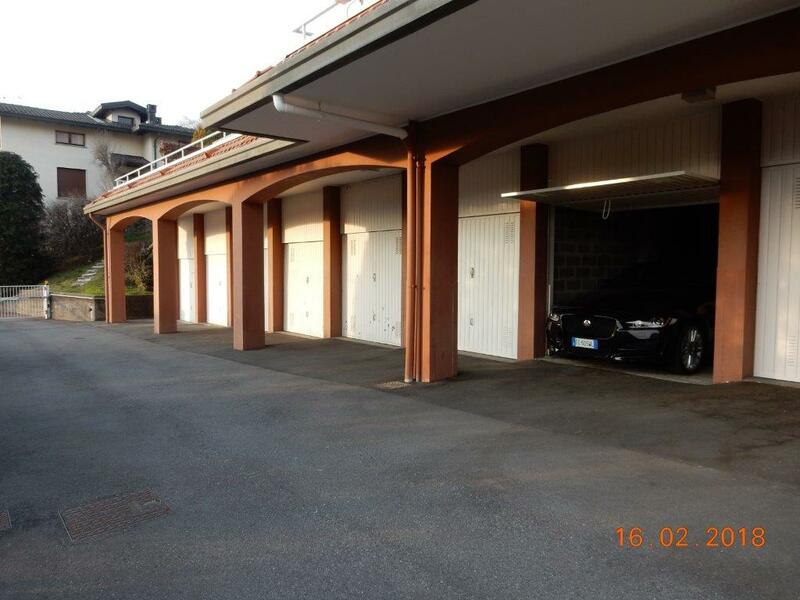 The apartment has a private garage, second parking space and cantina, ideal for storing bikes etc. 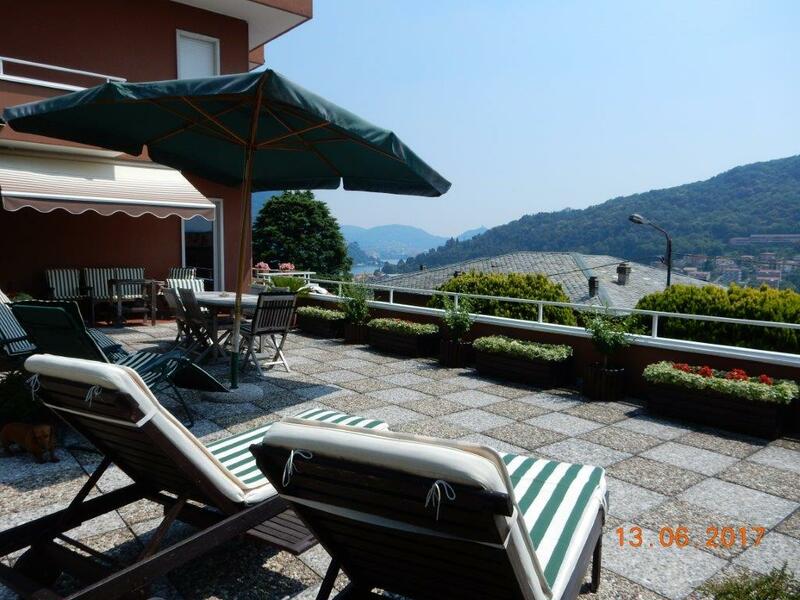 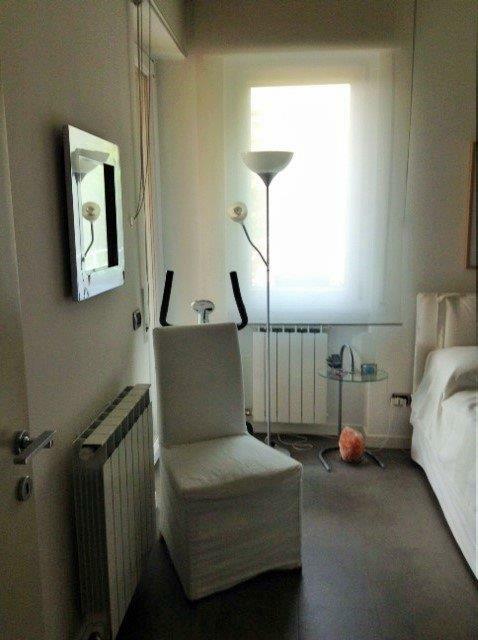 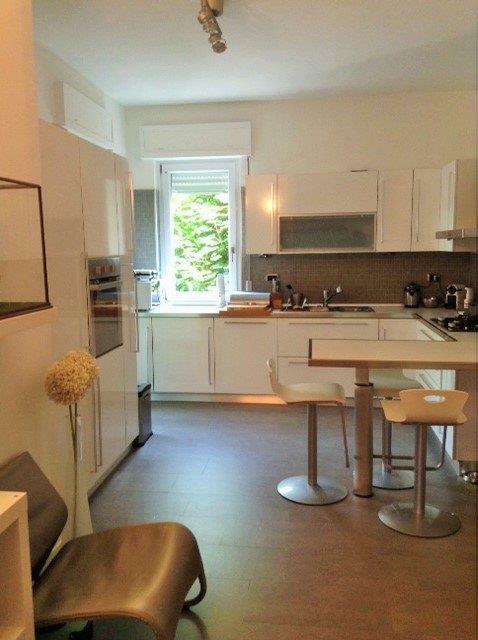 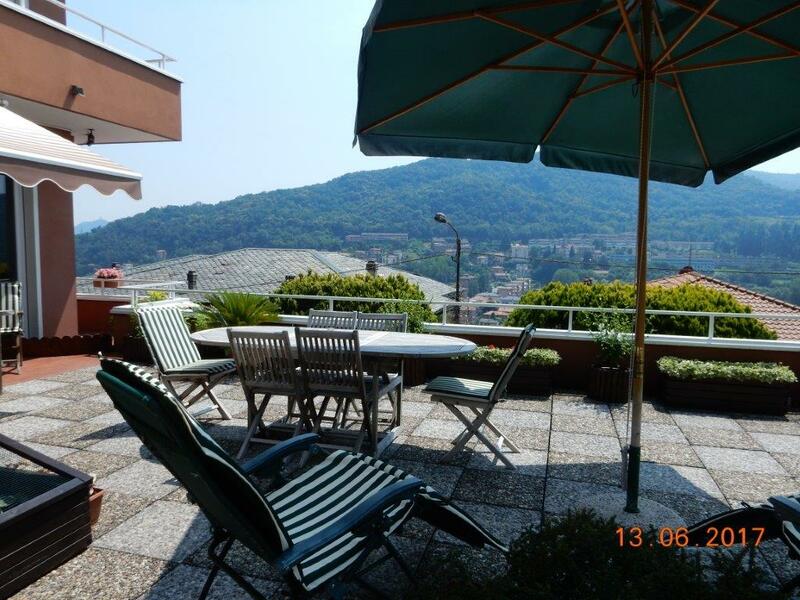 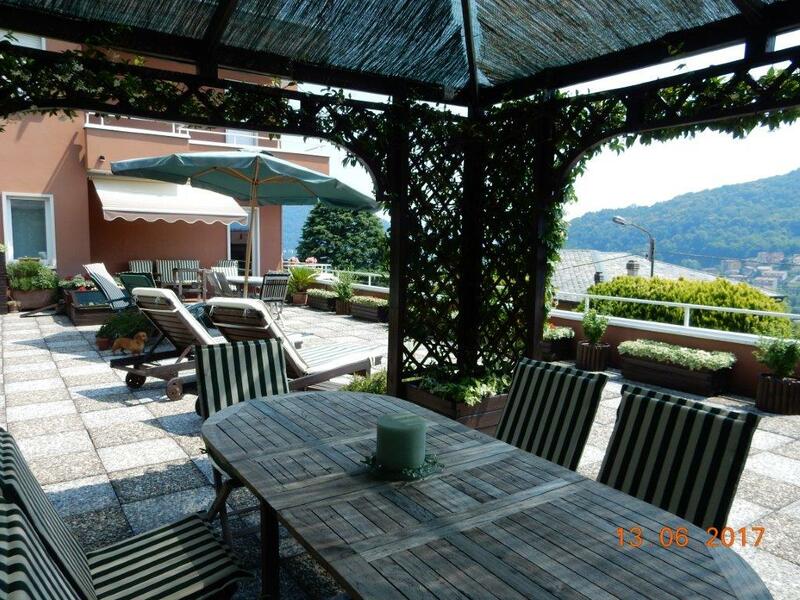 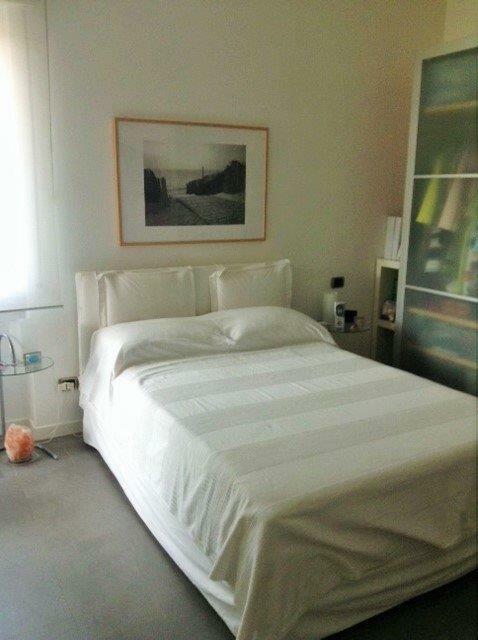 The apartment is located just a short stroll from the elegant village of Piazza Santa Stefano in Cernobbio. 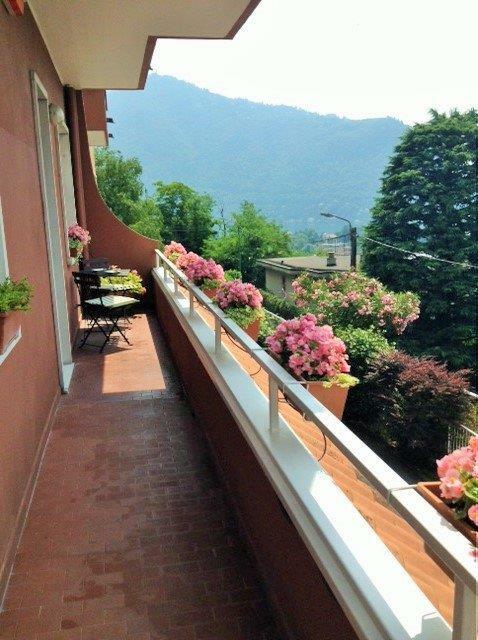 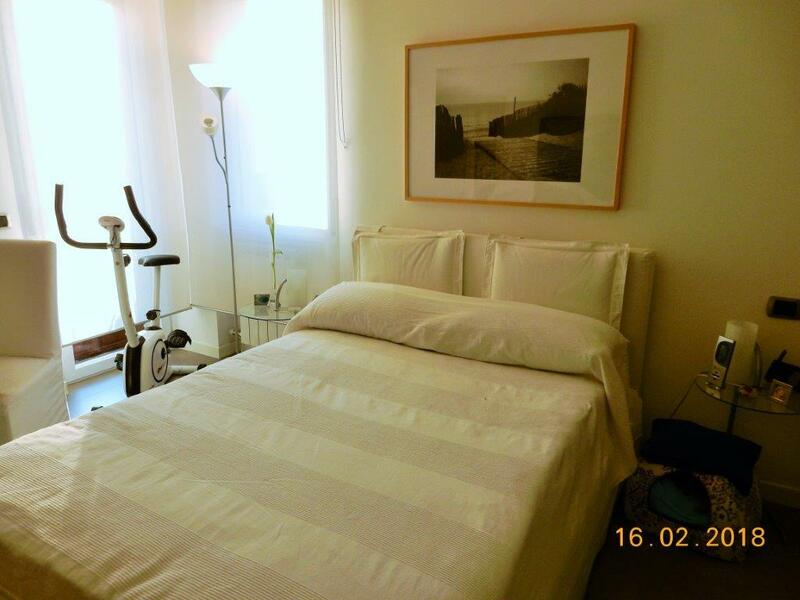 Central Cernobbio is just a 2minute drive or 25minute walk from the apartment. 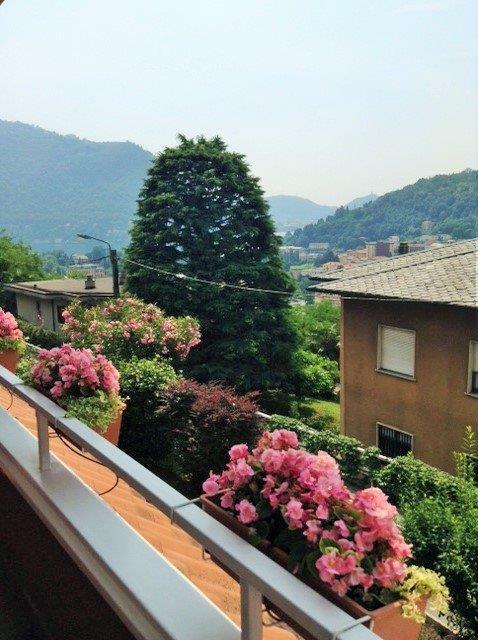 Central Cernobbio offers a wealth of upmarket boutique shops and restaurants plus the world famous Villa D'Este hotel and regular ferry service to Como. 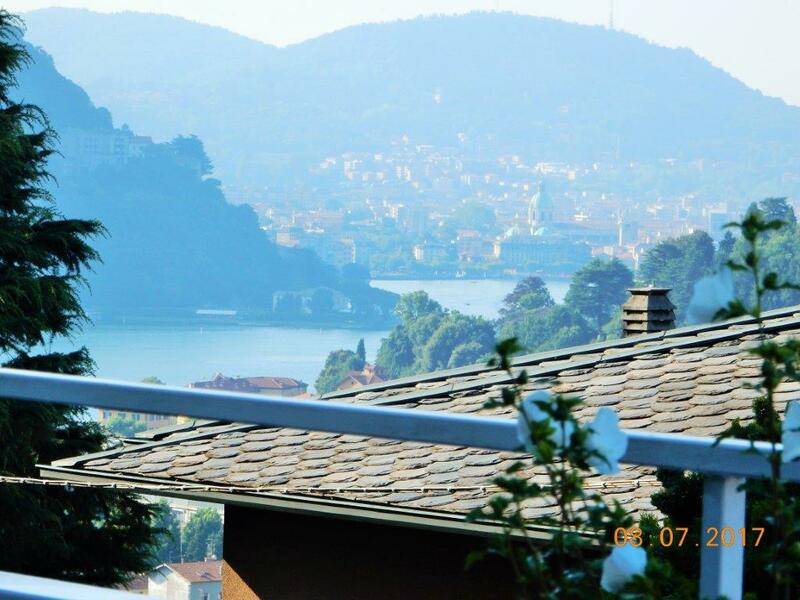 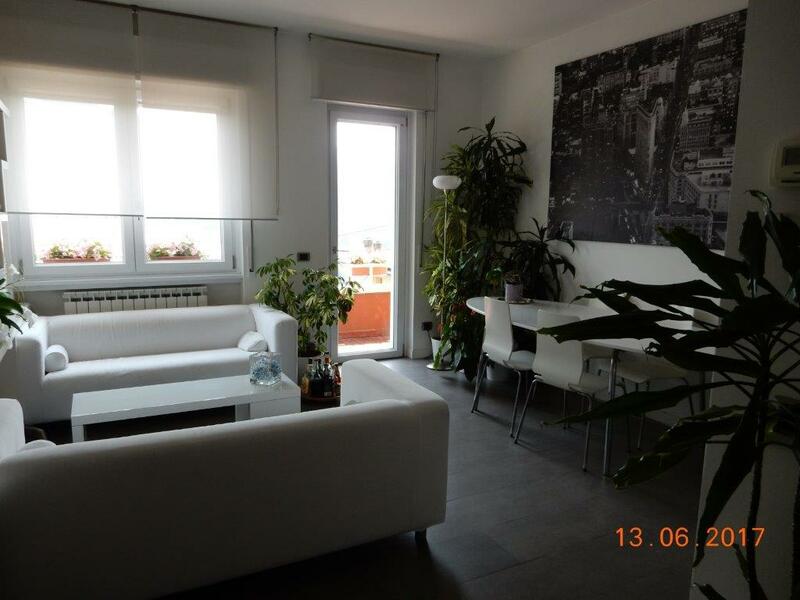 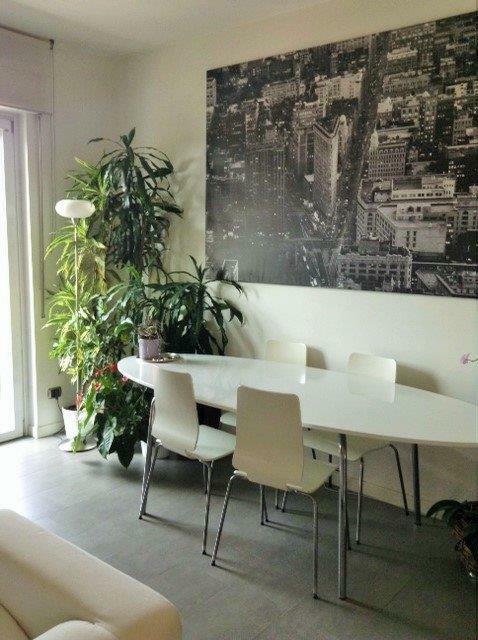 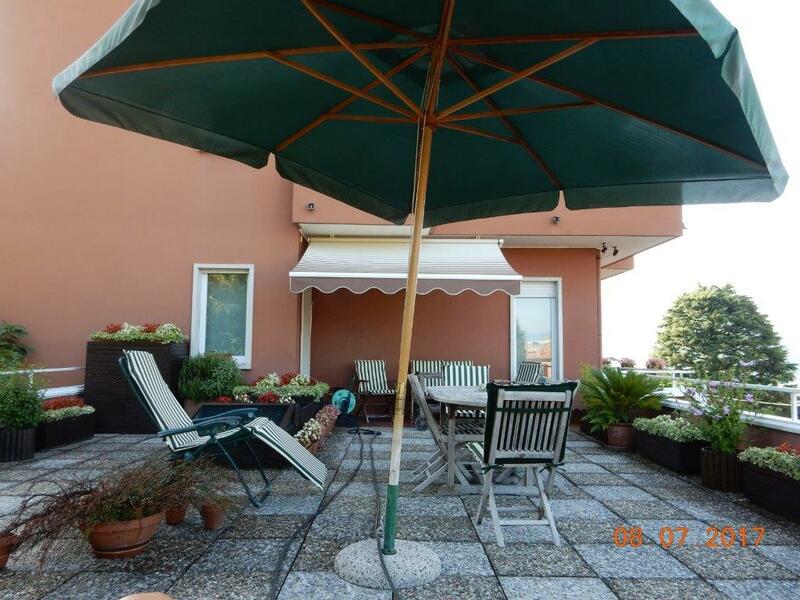 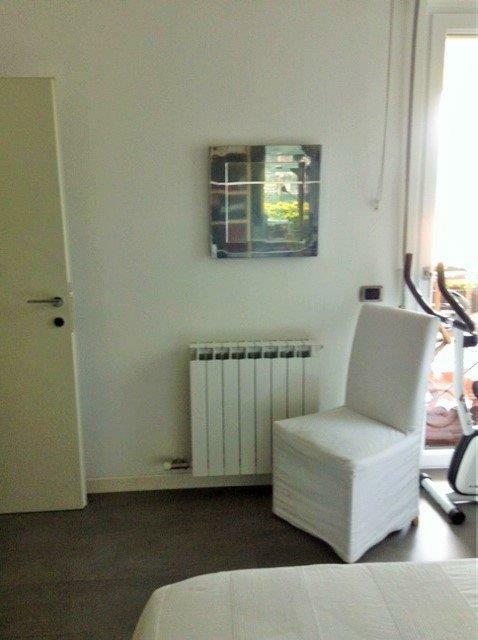 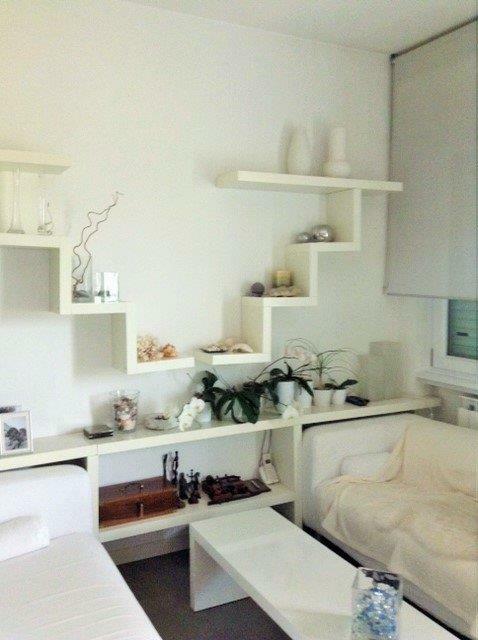 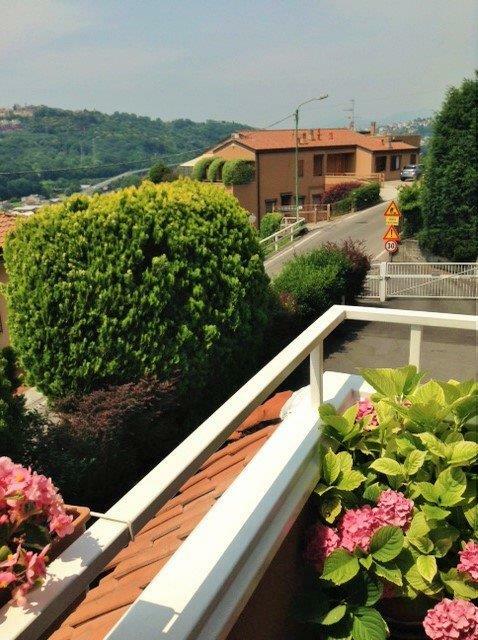 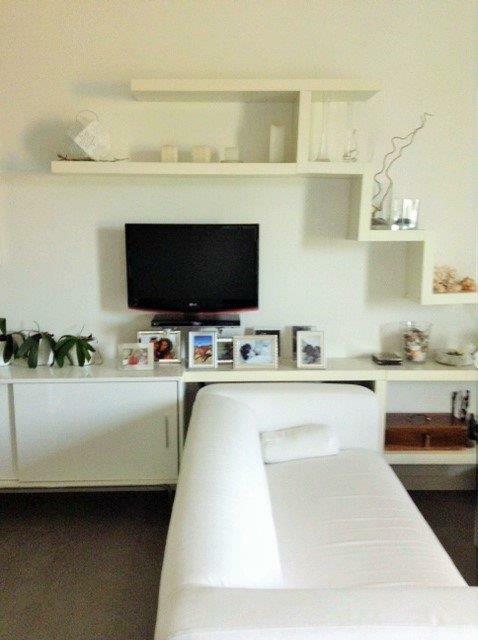 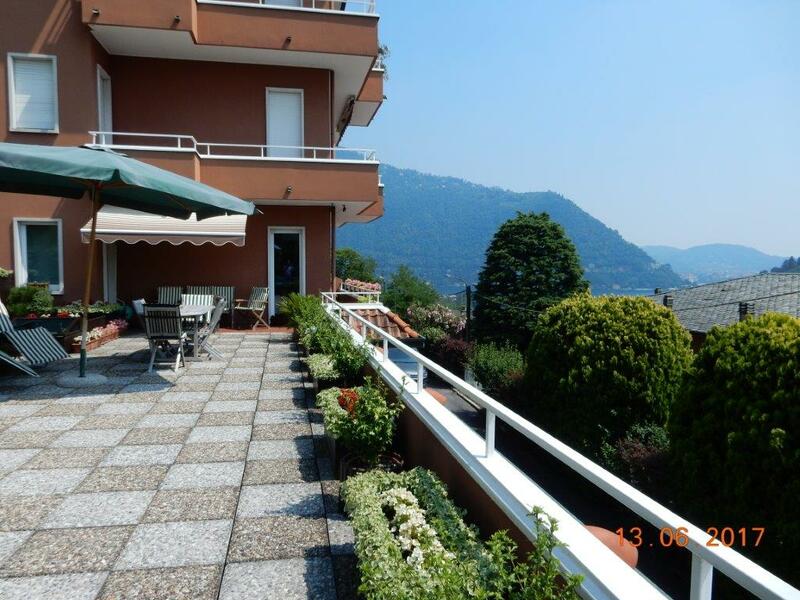 The apartment is a 5 minute drive to the motorway meaning Lugano and Milan are less than 30minutes drive away. 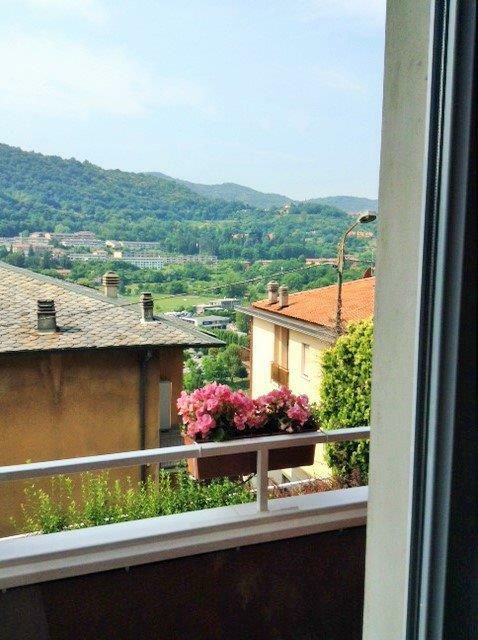 Milan Malpensa airport is circa 30minutes drive. 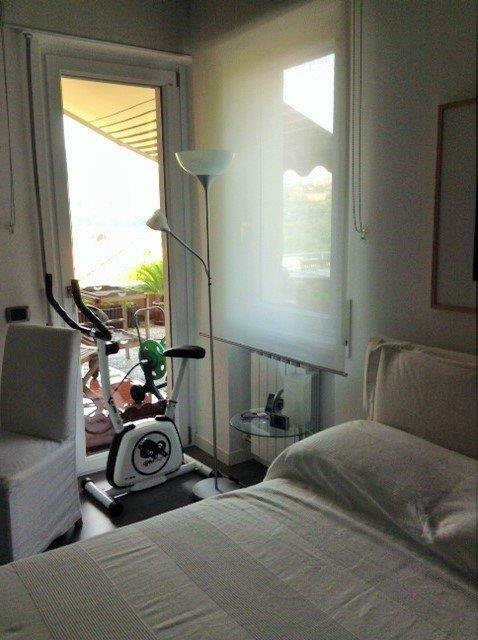 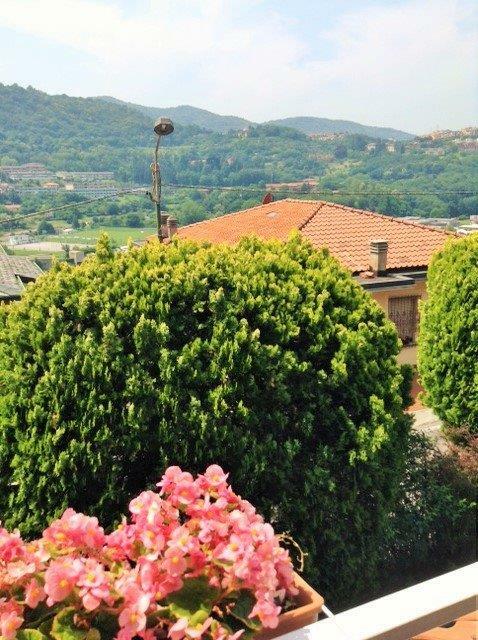 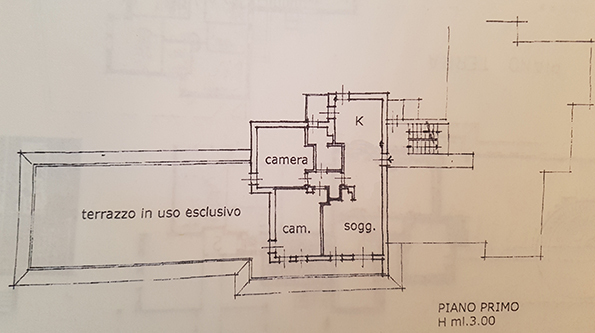 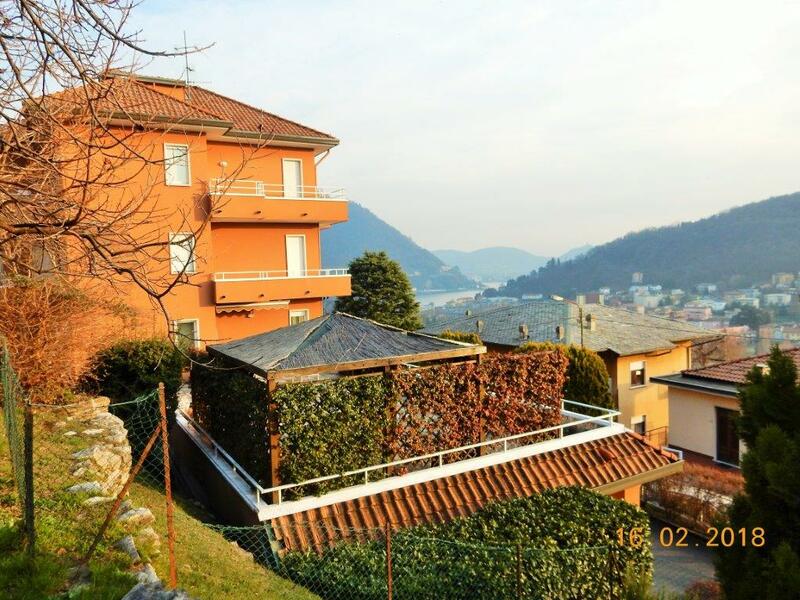 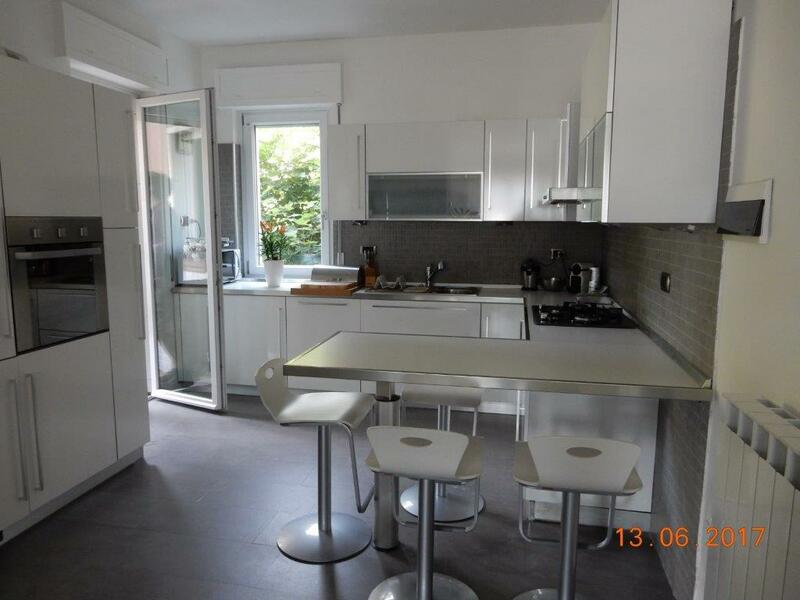 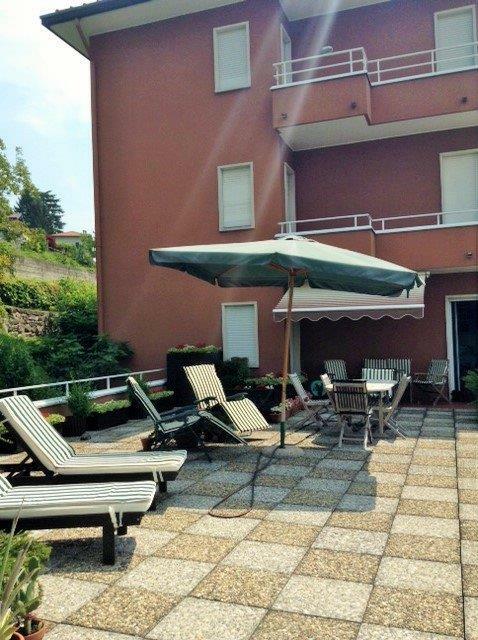 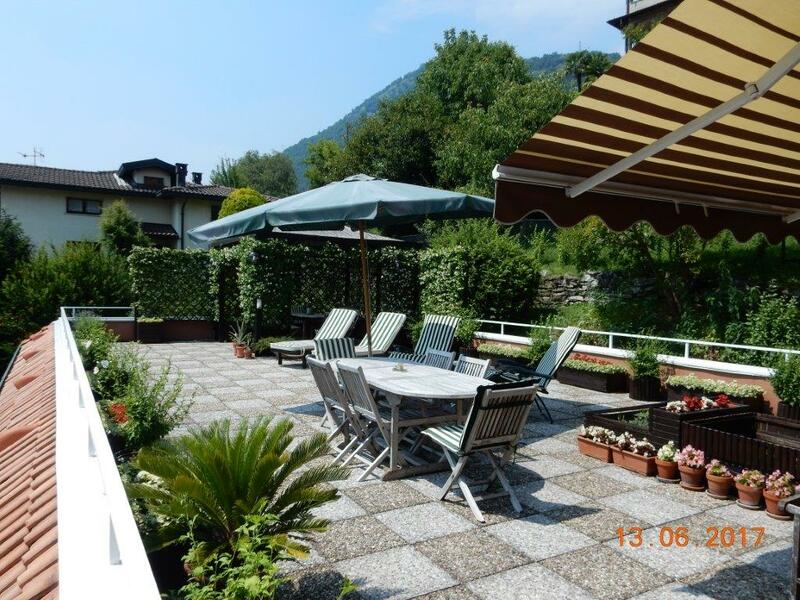 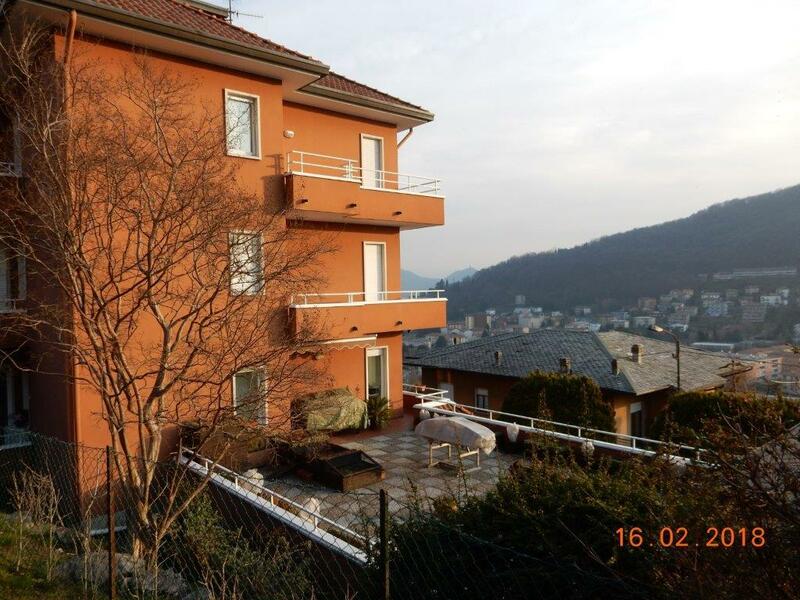 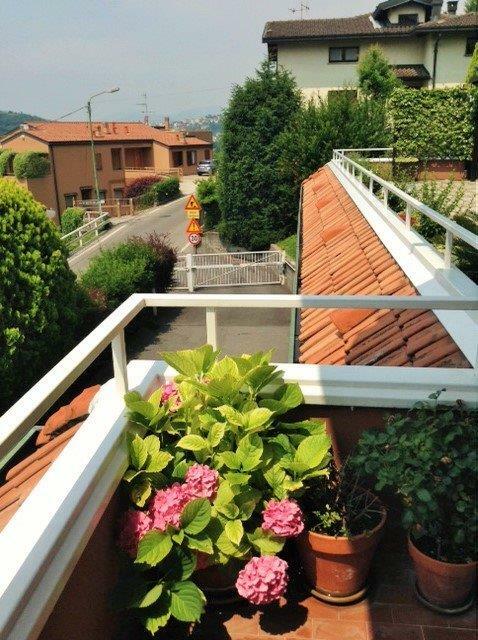 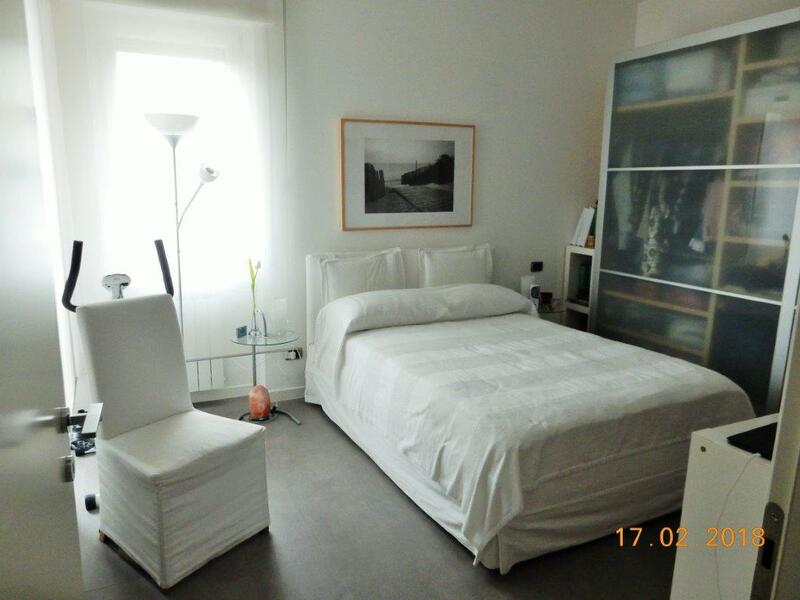 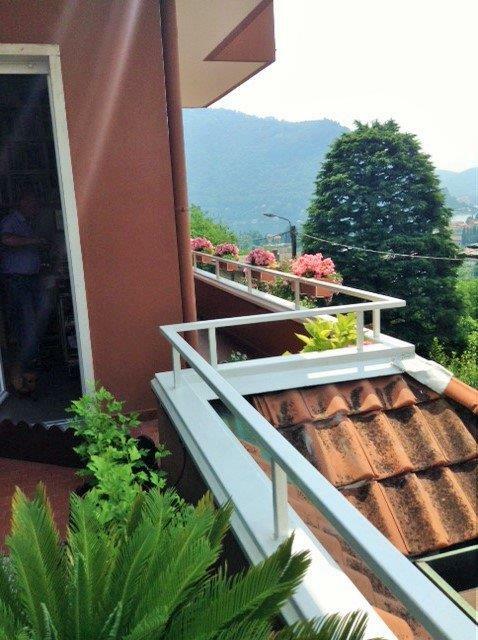 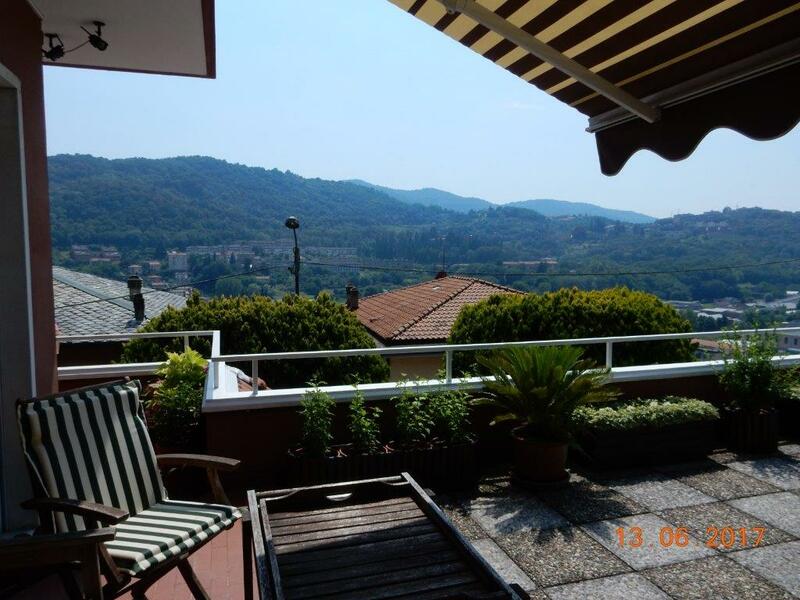 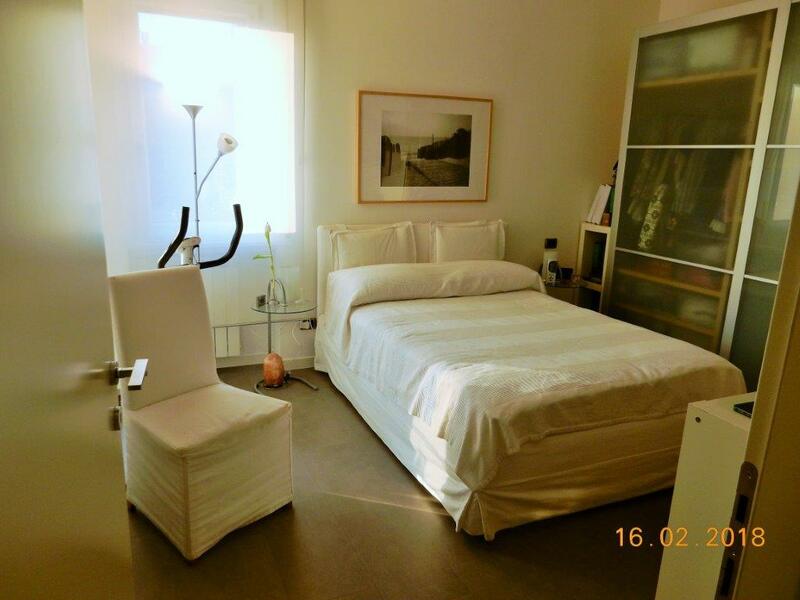 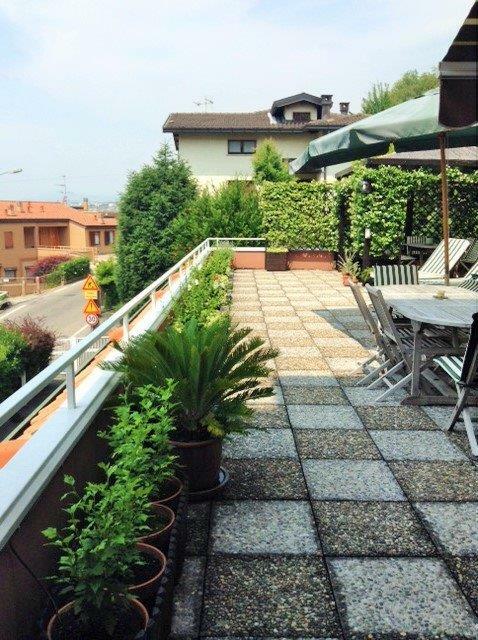 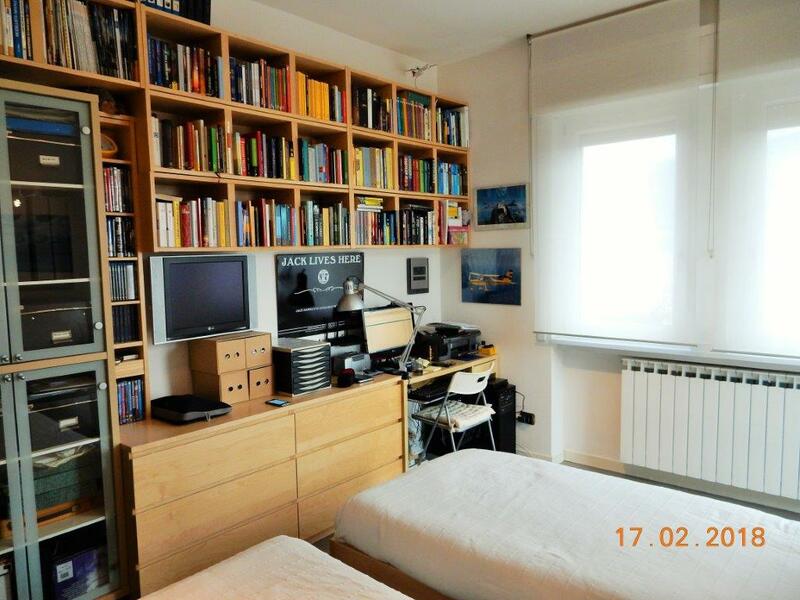 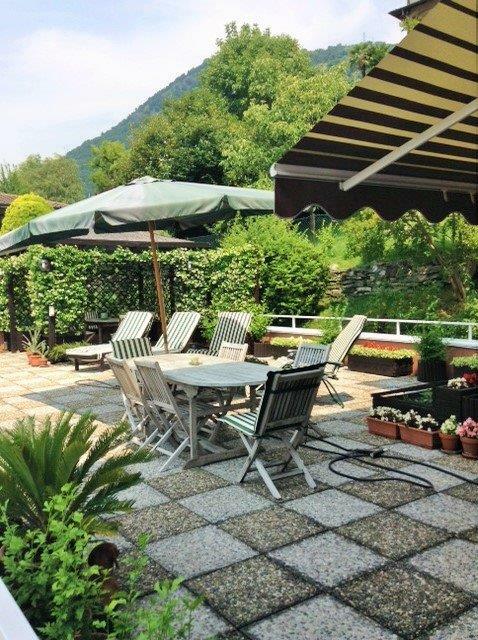 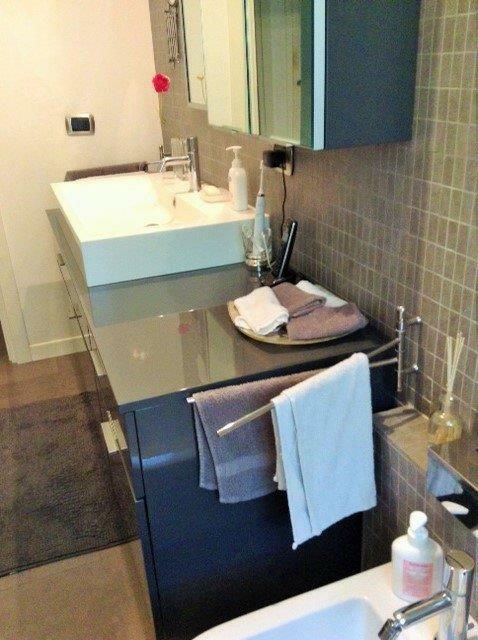 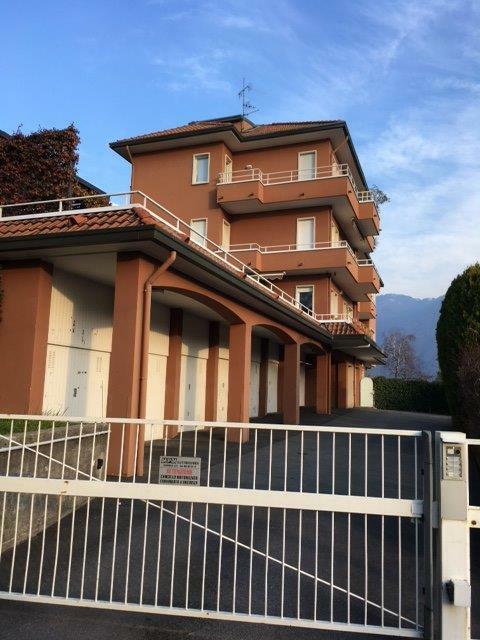 The apartment would suit those looking for a first home with easy access to Milan of Lugano or indeed those looking for a vacation property with simple access to one of the more popular villages on Lake Como.